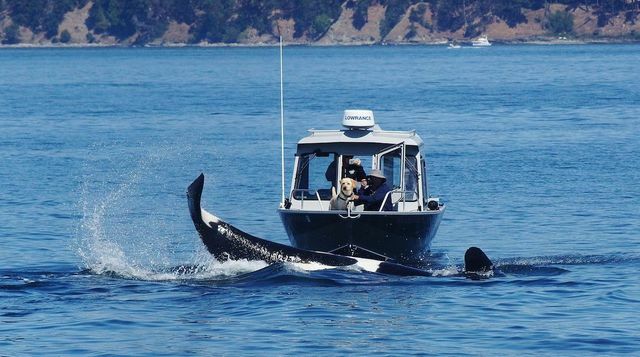 Killer whales are accustomed to seeing people on boats, and sometimes express mild interest in their human admirers. 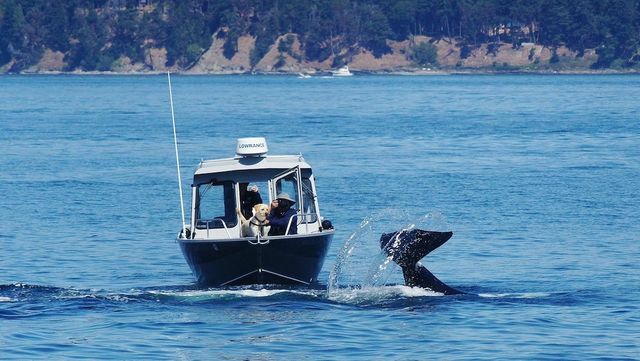 But they don't often see dogs, which might explain the extremely curious approach of Southern Resident killer whales Sunday after they spotted a yellow lab aboard a 22-foot boat at the San Juan Islands off Washington. 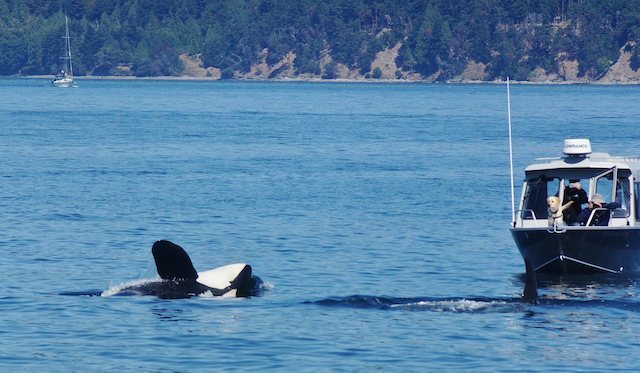 The lab is Sailor, whose owners, Kate and Jaycee Butler, said they have not experienced this type of intimate encounter in 40 years of whale watching in the Pacific Northwest. While Kate can be heard expressing her disbelief during the close encounter–"Are you flipping kidding me?! "–Sailor, who is vigorously wagging his tail, is speechless. 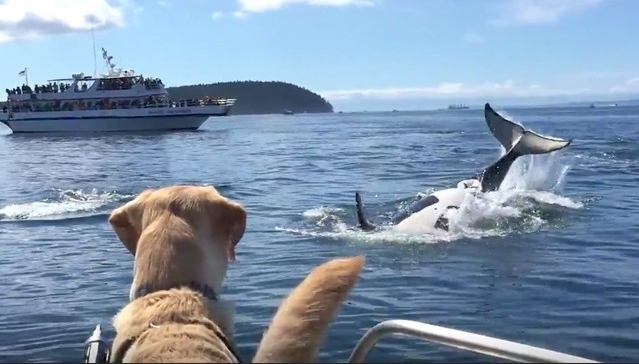 Responses to "Yellow lab receives friendly visit from Southern Resident orcas"